I love that it’s made in 20 minutes! That is my kind of meal, especially when it turns out THIS delicious! I love fast but good meals I know my kids will actually eat. This is for sure one of them. I’m a sucker for alfredo. This one looks absolutely amazing. This looks simply Delicious. My family can be very picky on what they eat. I am pretty sure this would be a winner all the way around the family table. I will be putting this on my dinner “to-do” list for this week! Thank you for sharing it! LOL mine too especially my middle son! 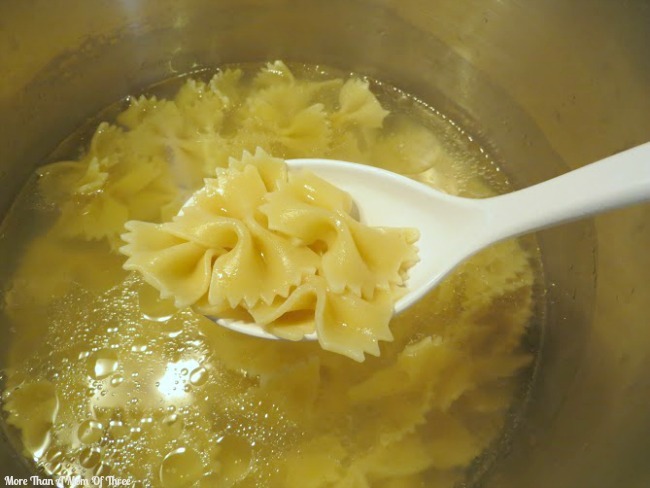 I love alfredo – it’s one of my favorite pasta dishes. 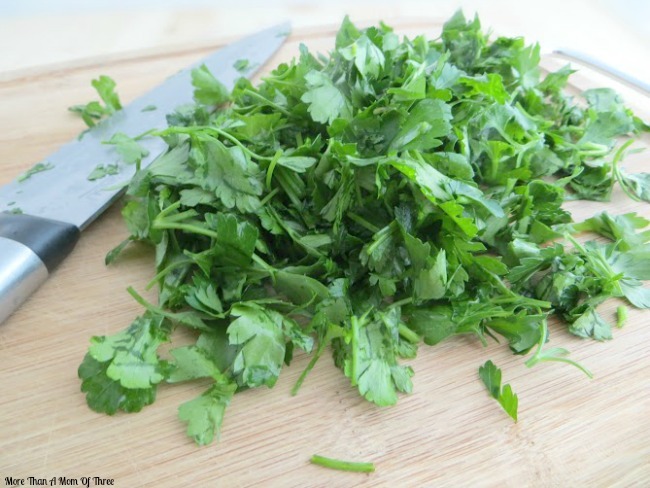 The parsley adds a nice fresh taste. 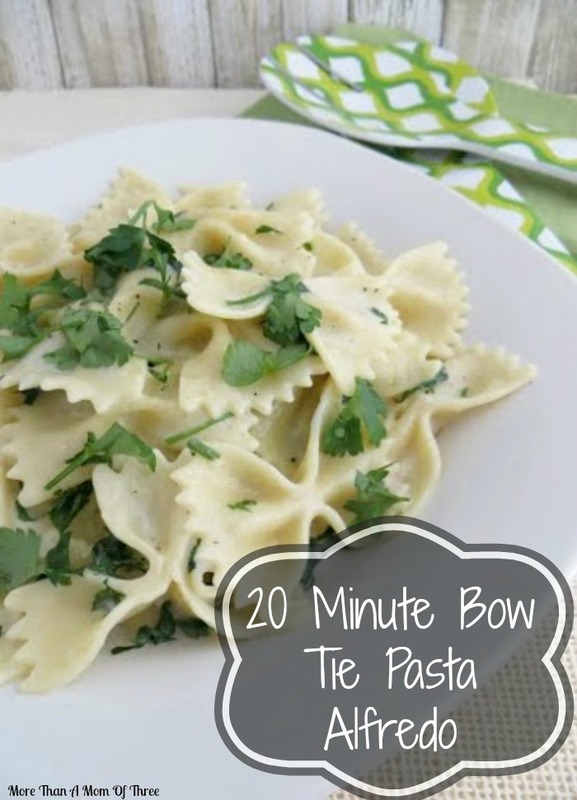 I haven’t had bow tie pasta in months, but now that I see this, I am totally craving it. You make it looks so good and also so easy to prepare! This looks delicious!! In never would have thought to pair bow tie with alfredo great combination! PINNED! 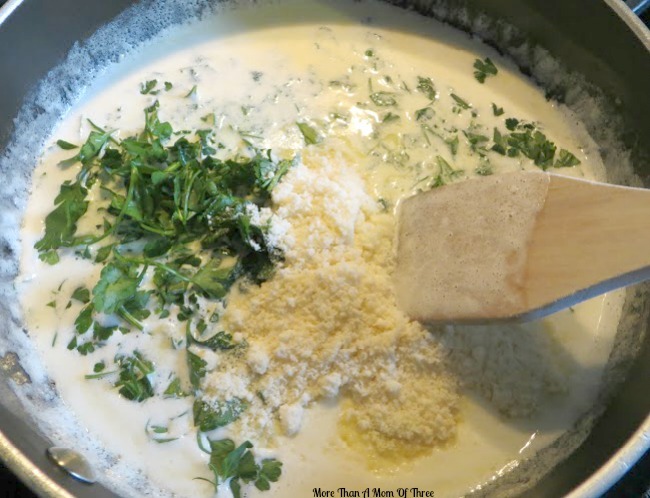 Alfredo is one of my hubby’s FAVORITE dishes! we love pasta, like love love. I will have to make this! What a nice easy meal during the week. My kids would love this. This looks so good! Pinning for sure! This just made my mouth water! I love that it is so easy and vegetarian. I am making this soon! Thanks for linking up at The Living With Style Linky Party! I am always looking for a quick and easy meal!! Having four kids that is what I need. Thanks for sharing at #HomeMattersParty hope you will join us again this week!! My family and I love pasta, must try it!